Excursions in the taste: the extra oil vergine “Lands of Siena”. 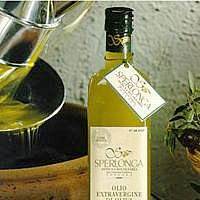 Oil of Siena DOP the Denomination of Protected Origin (D.O.P.) Oil Extravergine di Oliva “LANDS OF SIENA”, of defined continuation Oil “Lands of Siena” is classified to the Oil Extravergine di Oliva answering to the conditions and requirement established in the disciplinary present of production and to the enforced norms. The destined olives to the production of the” Oil Lands of Siena” must be produced in the collinari territories of the Province of Siena vocati to the oil production with the characteristics and qualitative level previewed the disciplinary present of production. Abbadia S.Salvatore, Asciano, Buonconvento, Casole d’ Elsa, Castiglion d’ Orcia, Cetona, Chianciano, Chiusdino, Sluices, Hill Val d’ Elsa, Montalcino, Montepulciano, Monteriggioni, Monteroni d’ Arbia, Monticiano, Murlo, Piancastagnaio, Pienza, Radicofani, Radicondoli, Rapolano Terme, Saint Casciano of the Baths, S.Gimignano, S.Giovanni d’ Asso, S.Quirico d’ Orcia, Sarteano, Siena, Sinalunga, Sovicille, Torrita of Siena, Trequanda, Castelnuovo Berardenga and Poggibonsi; of these two last common ones come excluded the part in the territory of production of the Chianti Classic of which to the D.M. 31/07/1932, published on the G.U n°209 of the 9/9/32. The production of olives cannot exceed Kg 30/pianta, however it cannot be advanced to kg 12,000 for hectare of olives. The olive groves of new system, consistent to the characteristics of the previous codicil, could beginning from be admitted to the production of the oil “Lands of Siena “the third year of vegetation of the plants. The collection of the olives for the production of the oil “Lands of Siena “must have beginning to physiological or technological maturation that in province of Siena is perceived from fine October; therefore it will be able to begin from the October month and will have to finish within 31 December. Exceptions beyond such date could be consented, for particular events, from the Tuscany Region. The olives must directly be collections from the plant. The Oil of Siena DOPL’ Oil “Lands of Siena “, must be obtained exclusively with original olives, coming from the senese area situated oil mills in the territory of production . The eventual conservation of the olives must happen in affixed fresh aired cellars and ventilates not more than 3 days from the collection, avoiding over heat and fermentations. For the transport of the olives to the crusher the use of bags or bales is prohibited, to the aim to avoid over heat or fermentations. The transformation of the olives must happen within the 24 successive hours from the bestowal to the crushers The olives must be subordinates to estimate washing with water to the ambient temperature. For the extraction of the oil mechanical processes are only admitted and physical actions to produce oil that present the original peculiar characteristics of the fruit. The yield in oil cannot be advanced to 22% in weight of the olives.